Oliver Townend and the phenomenally talented Ballaghmor Class. 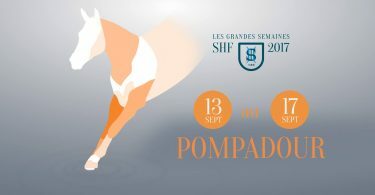 Sadly two horses weren’t presented at the final trot up (USA’s Captain Jack and Ireland’s BLM Diamond Delux) and two were withdrawn from the Holding Box (NZL’s Onwards and Upwards and GB’s King Eider) so 40 went forward to the final phase. Clear rounds were hard to come by in the morning session, only Caroline Powell and the lovely mare Spice Sensation managing to keep a clean sheet. Georgie Spence and Wii Limbo added only one time penalty, to stay top of this group of riders before the lunch break. Emma Forsyth (Solitair Justice) Angus Smales (MJI Mount Echo) and Willa Newton (Chance Remark) all had only one down. There were unfortunately costly rounds for quite a few, perhaps the slightly tiring going yesterday (one rider remarked on the fact that it wasn’t ‘top of the ground’ although it make have looked it) taking its toll. The course looked twisty and plenty big enough to test the best of the best, with the white gate at 5 and the penultimate, a dark green upright proving particularly troublesome. The afternoon session kicked off with MacKenna Shea and Landioso for the USA, who looked keen and a little opinionated, but had just one early fence down, and 4 time to add. 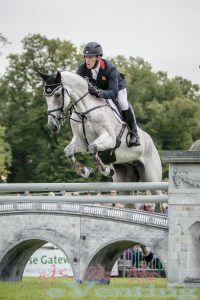 Oliver Townend’s first ride, Samuel Thomas II, whose good round yesterday was marred only by a disobedience when he saw the steep slope of the Leaf Pit and tried to jib, was jumping out of his skin till the penultimate upright, which he clouted pretty hard, but just the one down for them should have given him confidence for his leading ride later on. Harry Dzenis and Dromgurrihy Blue, the horse wasn’t exactly looking allergic to wood, and had 3 down before Harry ran him in deep to have a parallel too (the only one that he deserved) and then two more, plus time, for a final score of 57.3. Tina Cook and the very promising Calvino II, going slightly out of order because she has Star Witness to jump too, had 2 down, and Tina was shaking her head as she rode out of the arena. Alfie’s Clover was really trying for Richard Jones, who looked to be working very hard, until he just wasn’t travelling forward enough and hit the back bar of a big parallel, so just the one down for them. Louise Harwood’s Mr Potts was a bit hollow against the hand but putting in a lot of effort, just the white gate catching them out, and 1 time penalty to add. Xavier Faer spooked fairly violently at one of the flowery fence dressings just before his round, that’s one way to get them getting up in the air! Tim Price rode a masterful round until the front bar of a big parallel caught them out, and they kind of stepped over the penultimate but left it up, so only the one down for them. Paul Tapner and Bonza King of Rouges clouted number 3 but then got their composure back until the penultimate fence. Two down for them. Tom Crisp and Coolys Luxury clouted down the’bogey’ white gate at 5, and tapped a couple of others, but the rest stayed up, just one down and one time penalty. Harry Meade and Away Cruising had the upright at 4a, and rattled the middle of the treble hard but it stayed, so just the one down for them. Imogen Murray and Ivar Gooden, in 14th place overnight, were positive from the start, keeping up a great forward rhythm and both looking totally confident, for a fantastic clear inside the time, the first of the afternoon session, definitely showing everyone how to do it, probably the best round of the competition for me. Lauren Kieffer and Veronica were equally keen and forward, but rattled quite a few as they went around. The luck was with them though and they incurred only one time penalty, no fences down, to maintain their place. Clare Abbott’s Euro Prince looked as irrepressible as he did yesterday, very keen and cocky, and was doing his best to ignore the half halts. He has huge scope and tried hard but one fence fell, frustrating for Clare. She won the Best Burghley Débutante award. Harry Dzenis’ Xam was keen and careful, although lucky to rattle one hard and it dropped back into the cups. But their luck ran out at the treble and he had the first part down, and one more before the end, for two down. Into the Top 10. First in, Tina Cook and Star Witness, yesterday’s phenomenal pathfinders, who made the XC track look so deceptively easy, did the same thing in the SJ, nailing a lovely clear to finish on their dressage score. 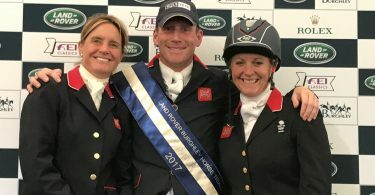 Fantastic for Tina, that will be three years running that she has a top ten finish here at Burghley with Star Witness. 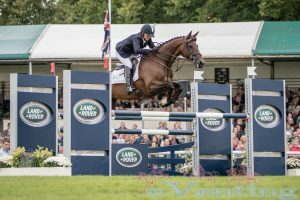 Boyd Martin and Steady Eddie – the horse ploughed through the white gate at 5, he was getting very low-flying and running onto the forehand, making things difficult for Boyd. They got quicker again towards the end and had the final fence too, to finish on 58 penalties, behind Tina. Lynn Symansky and Donner were jumping out of their skins until she sort of saw no stride to the white gate at 5 and went through the top of it, which woke them both up and he was back to super careful mode, finishing with no further fences down, on 53.1, just in front of Tina. Tom McEwen and Toledo de Kerser set out meaning business, the horse’s awesome scope showing clearly, they were playing with the course and making it look small. Tom managed to look totally relaxed through his whole round, only possible when you’re sitting on one as talented, confident and careful as that! An absolutely beautiful clear round for them, what talent for the future. 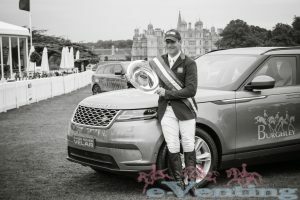 Andrew Nicholson and Nereo looked immaculate at first until Andrew had to try to anchor the horse to a big parallel and it didn’t work, and a later pole fell too, two down for them, frustrating, moving him down below Tina Cook. Piggy French and Vanir Kamira looked a little insecure when they started out, and rattled a few, but this is arguably Piggy’s best phase, the mare was trying very hard and their confidence clearly grew as they went on, for a super clear, into 5th at worst, and definitely the highest placed mare at Burghley this year. Tim Price and Ringwood Sky Boy looked their usual immaculate selves, making it look easy, this horse has such scope and Tim rides him beautifully, but they just ‘stepped’ a smallish upright and unfortunately it fell, just one down to move below Piggy and Tom. Trevidden didn’t look quite his usual careful self for Izzy Taylor and had an unfortunate three down, dropping them right down the order to 9th place. Gemma Tattersall and Arctic Soul rattled number 6 hard, and slithered over a few others, and there were a lot of “Whoa’s” from on top, but their luck finally ran out at the penultimate for one down, to move them behind Piggy. Oliver Townend and Ballaghmor Class were another to have a massive difference of opinion to the ‘bogey’ white gate and they went through the top of it, but he held his nerve, left all the rest of the poles up, and despite one time penalty stayed in the lead, to clinch the victory, an absolutely awesome result for a first time 4* horse. 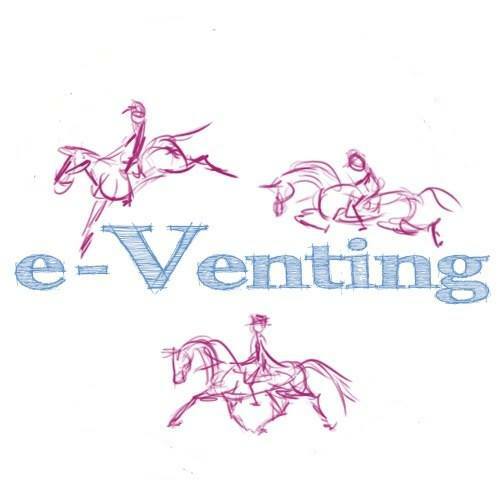 All photos by generous permission of Katie Neat Photography for e-Venting. Still Searching for a Calmer that works?